The performance Being surprised is admitting you were wrong was commissioned as part of Land Art Live, a visual arts program that centers around the six major Land Art works in Flevoland, the Netherlands. For this program Beckers realized a performance in Aardzee, a work made by the Dutch artist Piet Slegers in 1982. 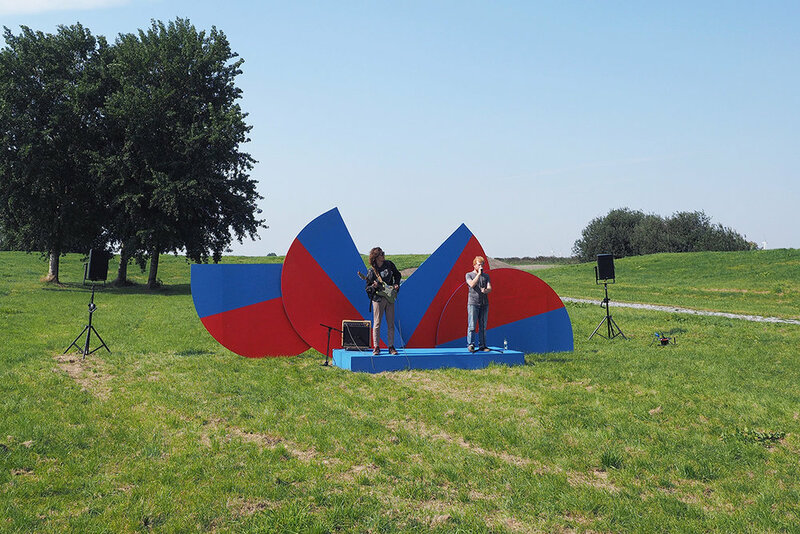 With Aardzee Slegers created swaying movements in the otherwise flat polder landscape, thereby breaking its monotony. With Being surprised is admitting you were wrong Beckers tried to restore this monotony by staging a performance that praised predictability and lamented surprise. By combining minimal sculpture and storytelling, Beckers placed himself in a force field of grand notions, daily decisions and the ever present possibility of failure. Beckers' battle with the slopes of Aardzee played out over four acts and culminated in the singing of a song.